Whoever this person was, they clearly were not very good. In this instance they were not very good at shopping. All they were going to buy was a bottle of Diet Coke and some mineral water. They have completely missed the sweet, biscuit and crisp aisles, and thus eliminated the opportunity to binge on Haribo and Jaffa cakes at home without anyone pointing and shouting out rude names. They were planning on only buying beverages. There’s not even some bacon and eggs for the following morning. It’s very frustrating to come across this. I expect that this shopper realised how not very good they were mid-shop and fled Tesco in embarrassment. Here’s hoping the CCTV pictured up their rosy red cheeks as they sprinted towards the exit, blushing and squirming in equal measures. The Not Very Good do have the advantage of being able to take hold of their lives and try to be less Not Very Good in the future. I bless all the holy pigs of Portugal that this person did a lot better the next time they went shopping. 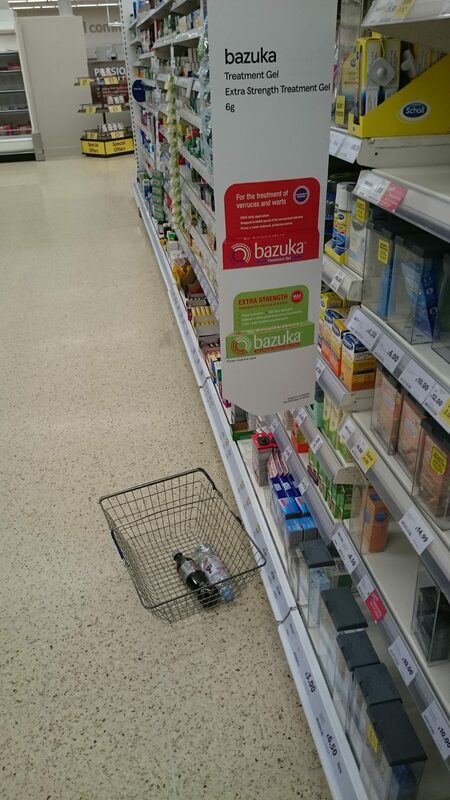 Is it possible the incompetent shopper was taken out by one of the bazukas visible in this picture? Either that or they were SO appalled by the costs of johnnies that they stormed out. That is possible. So their actual shopping list was “Diet Coke, bottled water, rubber johnnies”. That involves more treats than you originally feared but it’s still lacking jaffa cakes. I have looked a this photo a lot, trying to understand the motives of the consumer. In short, I don’t understand and they’re wrong. So there. What if they’re doing shopping correctly and it turns out that actually you’re not very good? That’s a frightening version of reality. You mean all this time I’ve been doing it wrong? I should have been purchasing beverages and birth control products than bread and milk? It. All. Makes. SENSE NOW! What would be not very good, is if you mixed up being good at shopping with not very good at shopping and ended up with a bottle of coke and a johnny sandwich. Ugh. That would be really rather chewy. What about a bottle of johnnies and a coke sandwich? Is that more acceptable? That’s fine, providing the johnnies are very well lubricated so you can pour them. 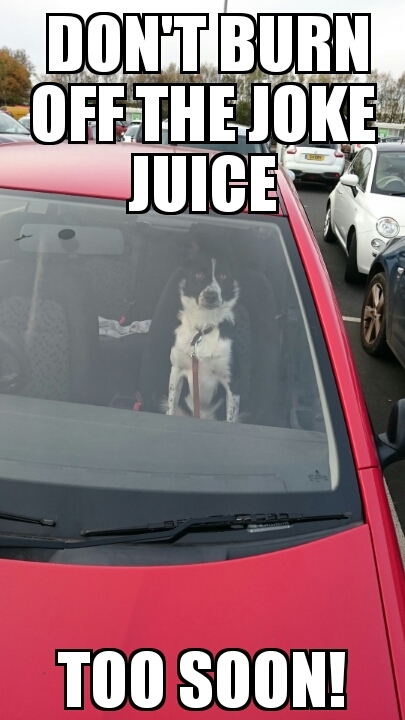 Pour me a nice pint of johnnies, please. I can see that going down well. Ha mha you see it’s funny ha because it has a double meaning. Mha! Why am I not being paid to write these jokes? When you write one worth paying for, you’ll be paid for it. Owl hold shrew to hat. I’m firing on all joke cylinders 24/7 baby! That’s probably why you have no jokes left in the tank when the time comes to make one. Don’t burn off the joke juice too soon. I didn’t get a chance to do that again. I also didn’t have a chance to do that again. Do you get a chance or have a chance, or both? Is this the coffee thing all over again? The key to this is understanding what the words “get” and “have” mean. Right, right. So what you’re saying is that I’m right twice? you said the word ‘right’ twice, can we leave it at that? I think he said it thrice. He didn’t say it at all.